Chalk has 4 marshes which cover the northern 1/3 of the parish, with the River Thames bordering them to the north. The 4 marshes are West Court, East Court, Filborough and Great Clayne. The Thames and Medway Canal crosses the marshes as does the North Kent railway line from Gravesend to Strood. The Saxon shoreway path runs along the river bank through Chalk parish and the former Milton firing range (now used by the Metropolitan Police, but originally an army range used by the regiments in Milton barracks and Shornemead Fort). The former National Sea Training School, opened on Chalk marshes in 1967 is now used by the Metropolitan Police for training purposes. The only disused railway station between Dartford and the Medway towns is Milton Range Halt on Filborough marshes in Chalk. The marshes are a haven for wildlife and native species of plants and trees, and they are the first real area of green space coming out of London. Chalk marshes are vital to keep clear of development, no only to avoid building on flood planes and destroying the natural environment, but also to prevent the urban spral of Gravesham meeting Medway. Chalk marshes offers wonderful walks of varying lengths which can serve as a fantastic stress buster and a source of peace and quiet in this noisy world. 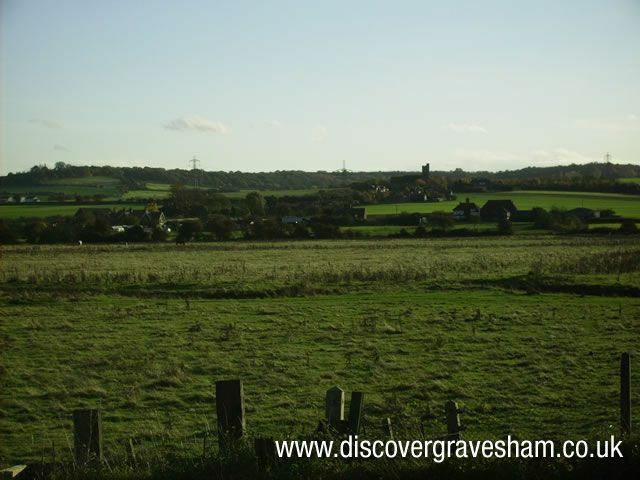 Please watch out in the local press and the "what's on in Gravesham" diary (available free in all Gravesham libraries and Gravesham Civic Center) where these walks are often listed.